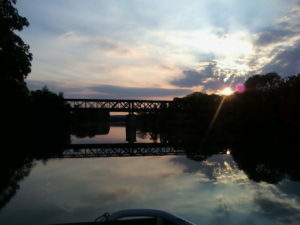 The river Marne is without doubt a beautiful cruising river. 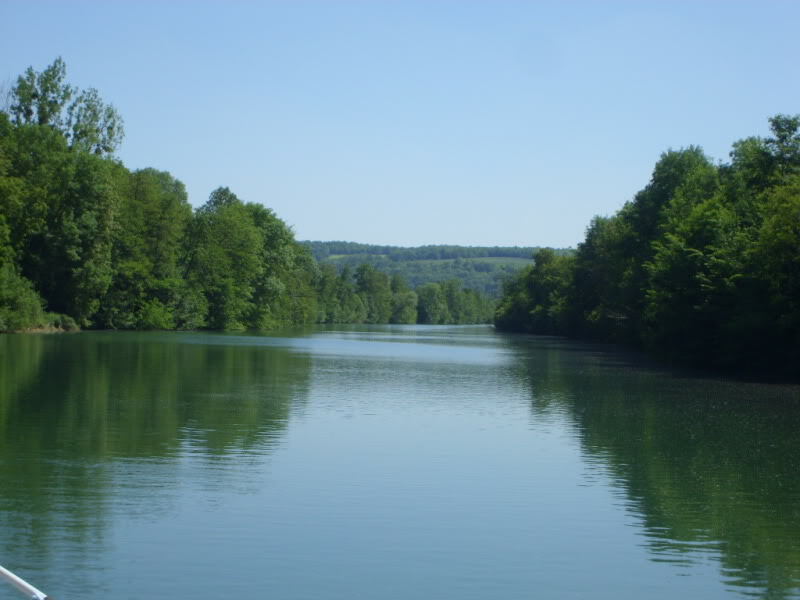 You can get to the river Marne just below Paris where the river Seine and the river Marne meet. 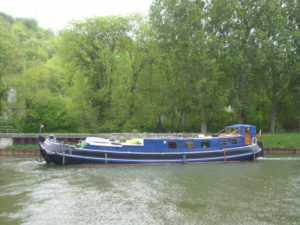 The trip from Ferté sous Jouarre to Nogent l’Artaud on the River Marne is a lovely one and here is our account of it. 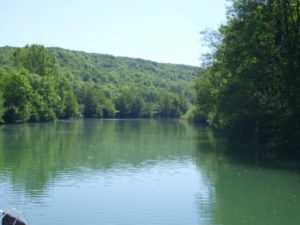 We left in beautiful weather and headed up stream along the fabulous River Marne. The trees hang over the banks and down to the water making the sides hard to define. The banks which rise steeply are covered heavily with trees with occasional villages peeping out through the canopy. 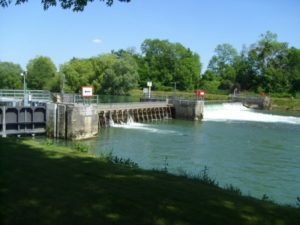 The lock gates are just visible in the foreground with the weir in the background. 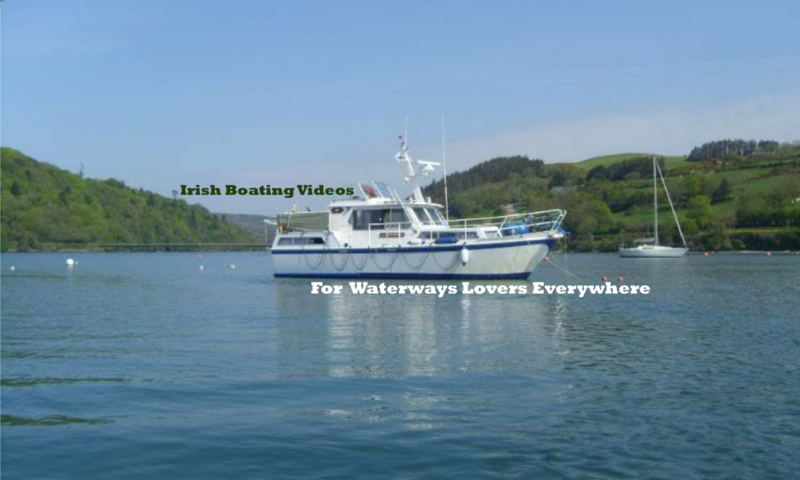 Moorings are a bit scarce and you may have to be inventive if you get caught out. We went through three locks on this section. At the first one the lockkeeper gave us a remote control to operate the next section of locks. It’s a great idea, just like switching channels on your television! 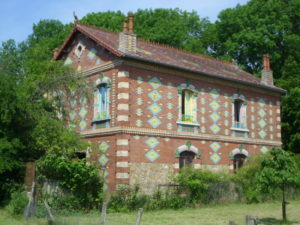 As we approached our mooring spot at Nogent l’Artaud there is a beautifully decorated house on the left bank. The guide says that in days of old the bargemen used to call this house The Devil’s House and were afraid to moor near it. But the guide didn’t explain why or how it got that reputation. In an incredible display or personal bravery we moored in its shadow for the night. Well actually at the small public mooring just a short distance away. This mooring at Nogent l’Artaud has free electricity and water. Although strongly you have to hand in your passport at the nearby train station to get access to the electricity! 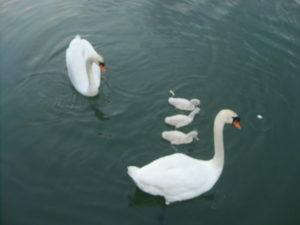 Here we fed a family of young swans before I went for a swim myself to cool off. Today the sun is out again although it is due to break tomorrow. 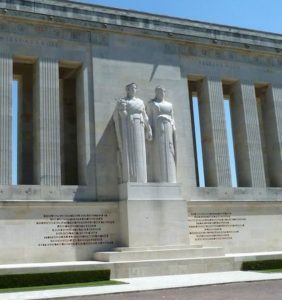 We headed off to Chateau Thierry and we were sorry to leave Nogent behind. Shortly after passing through the lock at Azy the river follows a gentle path through the Marne valley and then gently at first the landscape begins to change as you get your first glimpse of the vineyards. These are the very important and no doubt very lucrative champagne vineyards. The slopes here have long since been cleared of trees and the vine is king now. It’s much too early for the first grapes to appear yet but by September pickers will fill these slopes to harvest this year’s crop. We arrive into Château Thierry in blazing sunshine and the monument dominating the hilltop on our left overlooks the town. This monument commemorates the battles fought here by the American and French troops in 1918 against the German forces. The mooring is in the town centre and there are a few camper vans here too. There is no electric hook up point even though the chart says there is one. Maybe they hid the thing somewhere I can’t find it anyway. We’re rafted outside our English friends Tom & Lou and Tom is good enough to drive us to the supermarket so that we can get our shopping done. Later Tom cooked a nice meal for us on his barge “Herkelina” Where would you be without friends like that? A small pillar close to our mooring spot marks the location of the the front line trench in early 1918. It’s close to the water’s edge. Across the river the were the German trenches. Without the weirs the river would have been much lowed then, and so we are sleeping in what was once “No Man’s Land.” At the risk of repeating myself, we were borne into a very lucky generation. Previous PostPrevious Monsieur and my bicycle trailer. Next PostNext Chateau Thierry to the canal lateral a la Marne.